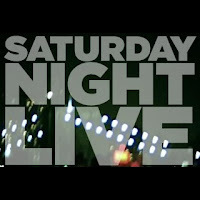 So…our trip to New York to be in the studio audience for Saturday Night Live is in just over TWO WEEKS! We’ve got a hotel booked near Columbus Circle, and we scored a really great deal on airfare…and it's non-stop both ways to boot! We’re also excited that Pat Metheny will be playing at The Blue Note that weekend, so we’re planning to catch a little jazz on Sunday evening. Two nights, two shows…not too shabby! Of course, you know this trip isn’t just about entertainment…it’s about eating lots of good FOOD as well. However, with this being an unexpected spur-of-the-moment little getaway…well, that means we have to economize a bit. There will be no fancy dress-up meals on this trip. But, we’ve learned on past trips that good, inexpensive food can be found everywhere in New York. On our previous trip last June, we balanced bagels from H&H Bagel with prime aged beef at BLT Prime…and burgers at Shake Shack with French bistro food at Balthazar. I started this blog about two months after our last New York trip, so I thought I’d share a few pictures of some of the great food that we ate on that trip. It’s fun to look back…several of these places are on our agenda for next month’s trip: Shake Shack for delicious burgers and perfectly crisp fries, amazing tres leche doughnuts at Doughnut Plant, and coal-fired pizza from Lombardi’s to name a few. So…come on a journey back in time with me to see some of the food highlights from our June 2010 NYC vacation. Shake Shack: We had seen Shake Shack on some Food Network show a couple of weeks before our last trip. We tend to be in the “a burger’s a burger” camp, but the people on TV kept saying how amazing these burgers are. So, we said we might give them a try if we came across it during the trip. Turns out the UWS location was about six blocks from the apartment we were staying in. After little sleep the night before and an early morning flight, a quick dinner and early to bed was the order of the day. We loved these burgers so much that we went back for lunch on our last day in town. Yeah…we're converts -- they’re that good! Doughnut Plant: This place is famous…and for good reason. The holy grail of doughnuts, IMO! We had missed going here during our 2008 trip, so we made sure to go last year. It was totally worth the trip. We ordered three doughnuts each – including the very amazing tres leche. Also delish were the fresh blueberry glazed and the crème brulee. Their chai tea was also fantastic. What a way to start a fun day in the city!! Stanton Social: We met our new friend Martina for brunch at this fun small-plates restaurant. We ordered several menu items and passed them around the table to share. The food was excellent, especially the BLT-Avocado Sliders and Chicken and Waffles. We also had some really great mini doughnuts with a caramel dipping sauce, but we scarfed those babies down before I could snap a picture! Lombardi’s Pizza: Literally the first official pizza joint in the entire U.S. They still use the original coal-fired oven. I know that you can find pizza on nearly every corner in New York...but to this Texas gal, this is the real deal. Chicago and New York like to argue over who’s pizza is best…I love both equally and for different reasons. Lombardi’s is really, really good…charred on the bottom, great sauce, and fresh mozzarella. This is a must for us on any trip to NY! Balthazar: We had a lovely, romantic dinner here after seeing a classical performance at Carnegie Hall. If you’re Facebook friends with me, my profile picture was taken of us sitting at our booth at Balthazar. It was just a great evening...we loved the service and the food. And the French onion soup? Best I’ve ever eaten…we shared a bowl for a starter…and we were having a spoon war to get the last bite. Amazing. The profiteroles with hot fudge weren't shabby either! BLT Prime: Last year’s trip started out as a birthday celebration for my brother-in-law…we all went to see the Astros play the Yankees at the new Yankee Stadium. We had his birthday celebration dinner at BLT Prime. The dry-aged steaks were amazing…the sides were divine, and the free popovers were stellar. Good food, good company…can’t beat it! His birthday "cake" was red velvet cupcakes from Magnolia Bakery. Bakeries: Yeah, I've got a sweet tooth...especially when it comes to cookies! So, I had to try a couple of the city's famous bakeries. Ruby et Violette was another place we had seen on TV before our trip. We literally zipped out of the cab on the way to the airport to grab a few to munch on the plane. Good call…their cookies are amazing! My other favorite cookie? Levain Bakery and their amazing, chocorific chocolate chip cookies. They were worth the 10-block early-morning walk to score a couple. What new food adventures await us next month? Michael’s been eyeing a prime-aged burger at BLT Burger, and I’m hoping we work in a visit to Vanessa’s Dumplings after our sugar indulgence at Doughnut Plant. Momofoku Milk Bar is near our hotel and is supposed to have some really good cookies. I’m open to suggestions…so tell me if you have any suggestions for good, inexpensive food in New York. I’d love to hear them…and I’ll give you a shout-out when we get back if we pick one of your recommendations. New York really is a food lover’s paradise…even if you do have to do it on the cheap! !